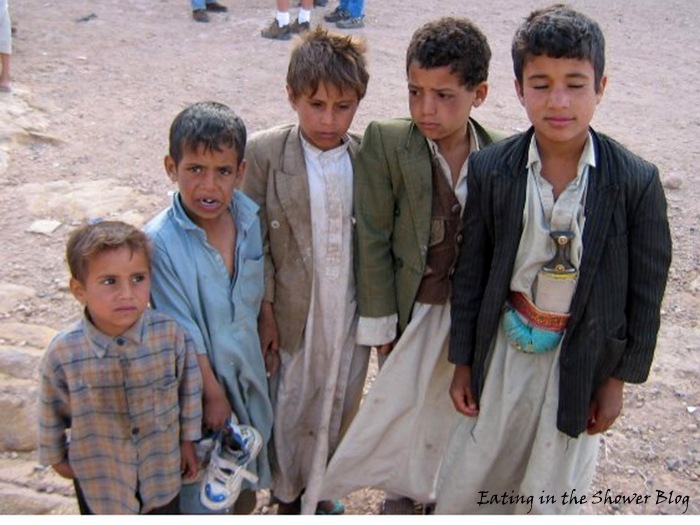 Some would say that the riskiest thing I have ever done was spend a year living in Yemen. I'm not sure I can really catalogue my life choices in a way that one particular thing stands out as the riskiest but I'm not about to claim that living in Yemen was safe either. We lived in the bottom two floors of the house pictured above. We had an enormous amount of space for just the two of us. It was crazy trying to clean it. For a time we had a local woman help us with housekeeping but it was too difficult for me to communicate with her and she did things like use my gallon Shout stain remover, that I'd meant to last me 2 years, in one week. (She cleaned our floors with it!) 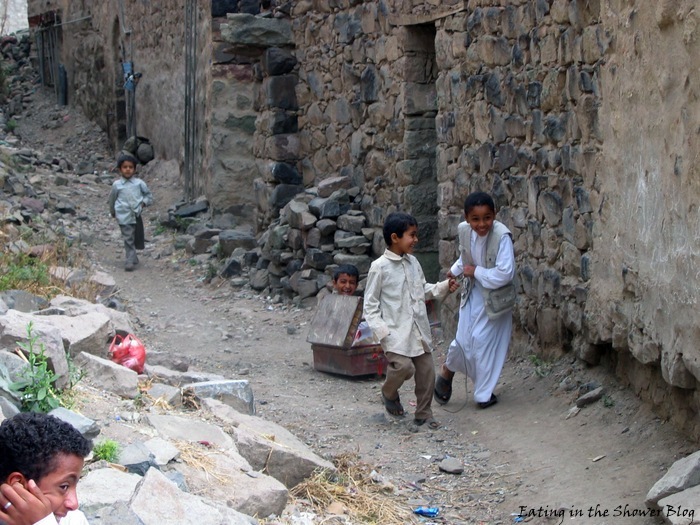 It was such a hard decision to let her go because we knew the poverty experienced by so many in Yemen. I then struggled for our remaining time there to clean a house full of marble, always covered in the thick dust that only someone that has lived there can comprehend. I felt more at risk at some times than others. For the most part we worked during the day and watched satellite television shows at night. 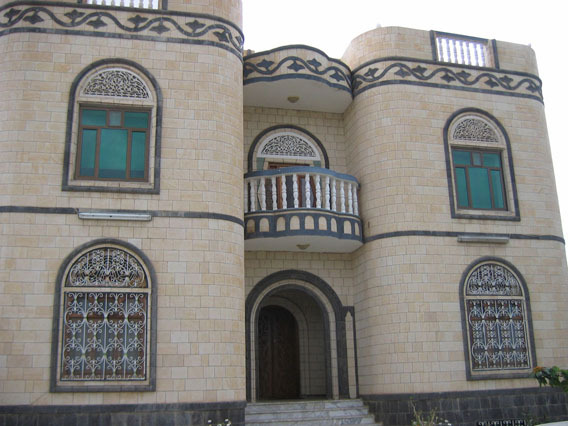 Our house was on a walled compound and we had two guards that stayed in a little house at our gate. I never had the courage to host any of our family members in our huge house. I guess I felt that the risk was worth the experience for me but wasn't willing to extend an invitation to take the same risk to my family. 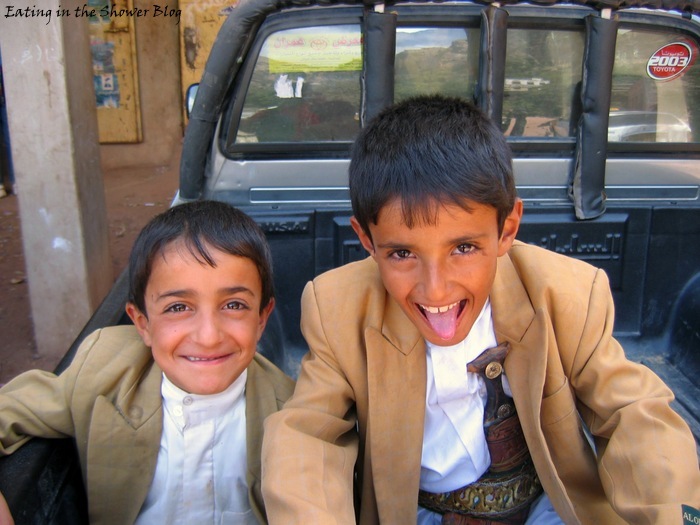 ﻿I took many pictures of children while we lived in Yemen. I look back on them every so often and can't help but wonder where they are and who they became. As many photos as I have of children smiling and happy in a way only children can be like the photos of the boys above, I have photos with faces that haunt me as much today as they did 8 years ago. 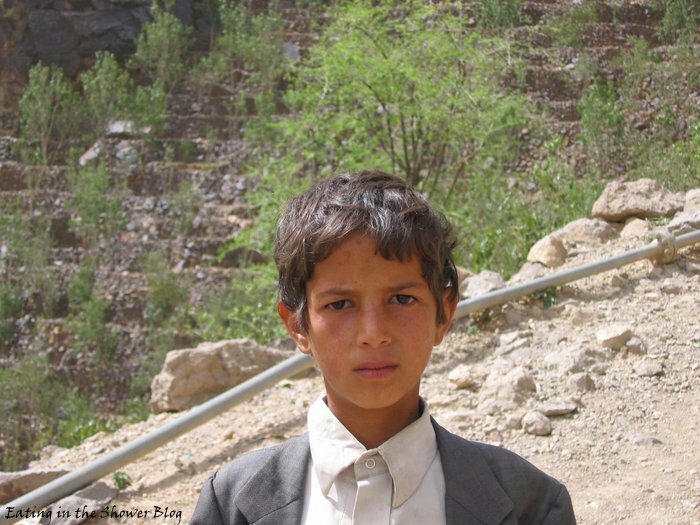 It's difficult to consider that living in Yemen is the riskiest thing I have ever done when I try to imagine the path that some of these lives might have taken.